Whether you’re planning on being in your home for a long time, or you’re thinking about making some serious improvements before you list it for sale, browsing photos of perfectly-styled rooms is never not fun. 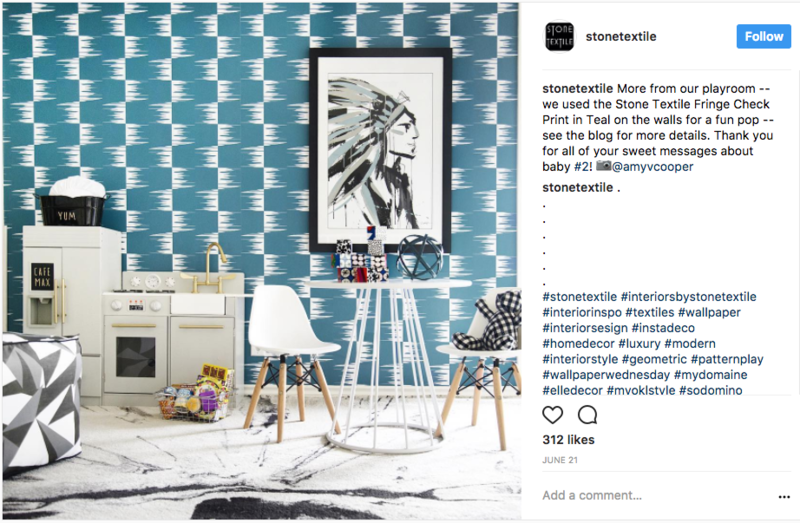 It wasn’t easy to narrow down the list to just 6, but we’ve curated a list of our very favorite interior designers to follow on Instagram. 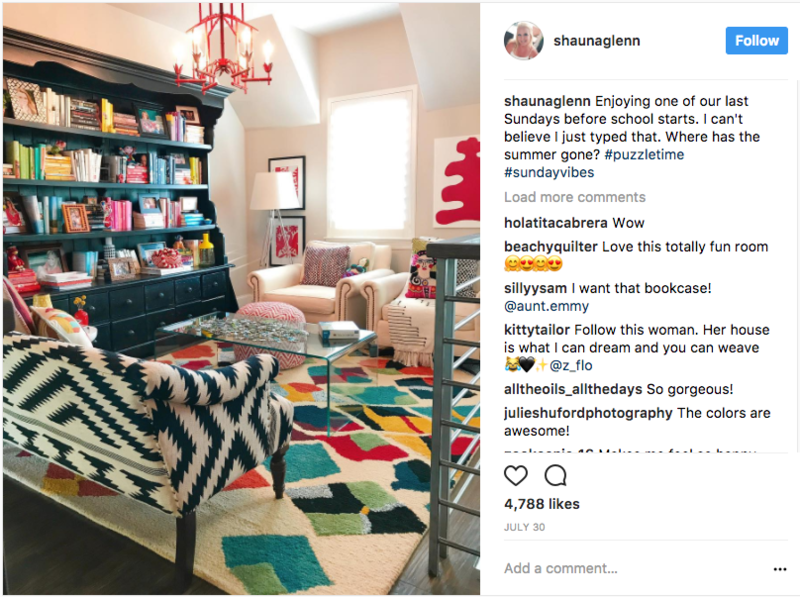 Follow these talented pros, and if you’re anything like us, you’ll be inspired to finally re-do a room or three. That whole recent trend of having white walls and maybe one or two pops of color? Nah, says Shauna Glenn, who’s based in Fort Worth, Texas. Her aesthetic is all about eye-catching color—and as much of it as possible. You’ll especially love the before-and-after posts, not to mention her hilarious and witty captions. The Jungalow is all about—you guessed it—bringing a little bit of the outdoors inside. 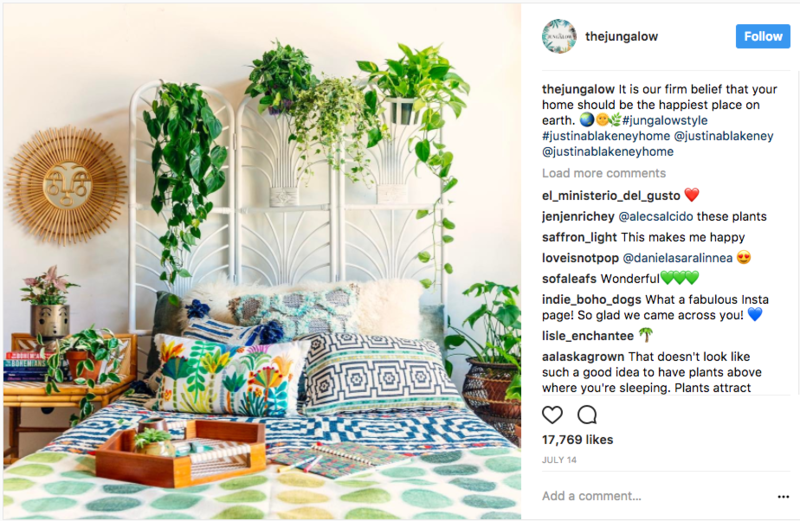 Interior designer Justina Blakeney is behind the feed, which currently has almost 800,000 followers and the wildly popular hashtag #jungalowstyle. One of the go-to interior designers based in Austin, Stone Textile’s Elizabeth Mollen, is also a purveyor of wallpaper and fabric. Follow her and you’ll see why she’s been featured in so many publications, including Elle Decor and Architectural Digest. Kelly’s all about bold designs with fun patterns and lots of colors. In addition to her work, her Instagram includes some photos of her travels, family, and adorable dog Willie (who even has his own Instagram!). 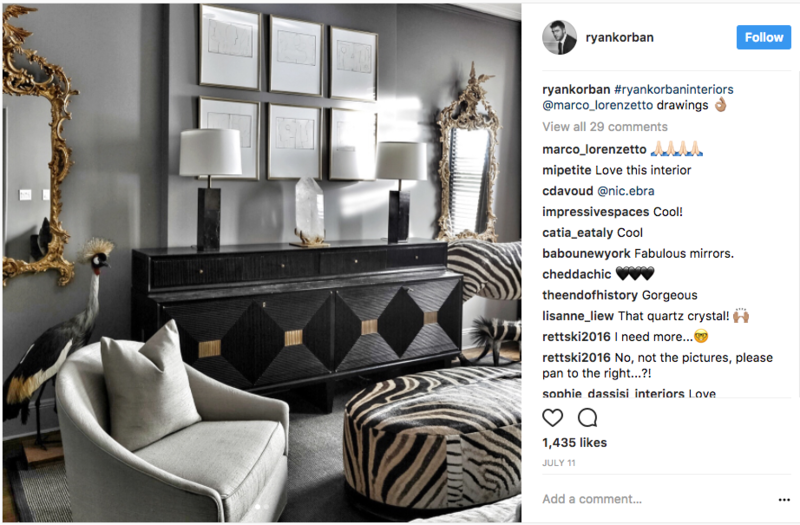 New York City-based Ryan Korban “creates seductive, wondrous spaces that surpass trend to redefine traditional design for a new generation.” He’s close to having 100,000 followers, no doubt thanks to his feed’s healthy mix of breathtaking photos of recent projects, and images of things that inspire him. 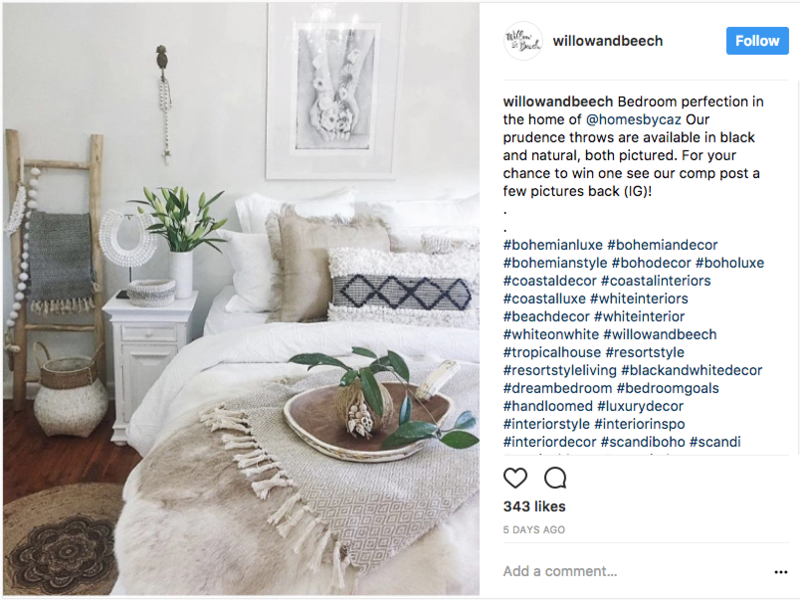 Zoe Quinn is the designer behind Willow & Beech, known for her use of neutrals to create calming “coastal boho” looks. 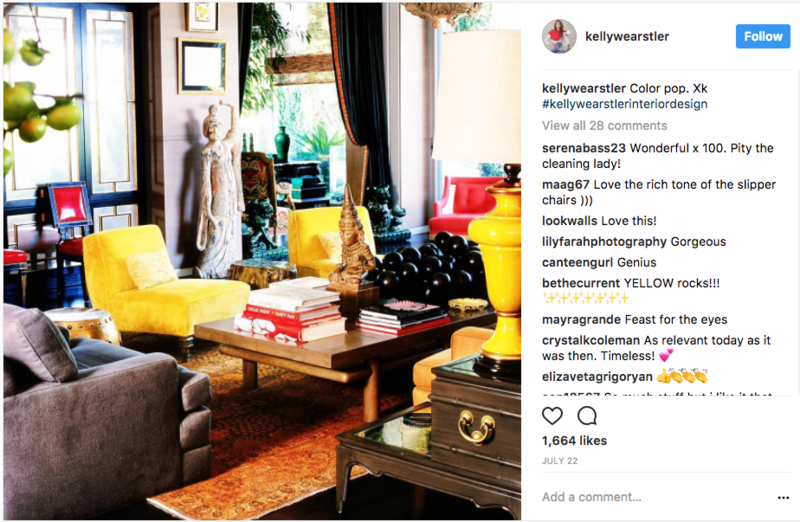 Who are your must-follow interior designers on Instagram? Comment down below!